College can be a big expense for you as the cost of getting a college education keep going up every year. However, if you’ve been working at saving for it all along, things will certainly be much easier to handle, especially when college is still years away. 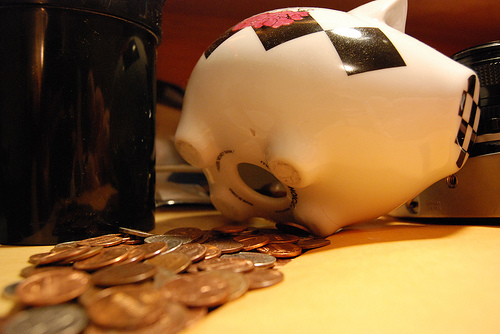 So what can you do if you don’t have a savings built up yet? These tips below can help you prepare for college. Determine what you need in order to pay for your schooling. When looking at the cost of college, you’ll need to figure in more than just how much money you need for tuition. Find out how much matriculation fees will be and if there are any other fees associated with entrance into your school. Add in textbook fees, and dorm, food, travel and lab expenses. There’s no better time than now to start saving money for college. Make it easier on yourself by decreasing unnecessary expenses, which will in turn free up money that you can put away. You may even want to make a direct deposit to your savings account from your paycheck. Having interest work for you now instead of against you in the form of college loans can be a great motivation for starting today. The way you invest your funds depends on how long you have before you need to use it. If you have some time before you will be taking your capital out, invest it more aggressively through stocks. If you are closer to entering college, put it in bonds. Although it may be tempting to allow your parents to take money out of their 401(k) or other retirement plans, it may be wiser to find other ways to pay for higher education. Big monetary penalties come from withdrawing funds from retirement accounts early. Additionally, higher education can be very expensive. If you put retirement funds toward education, your parents may not have enough time to reestablish their retirement in time to retire on. Section 529 Plans allow you or your parents to either purchase tuition credits at their current value, or to place them in a savings mutual fund that becomes more conservative as you near college. Prepaid tuition only covers the cost of the classes and mandatory fees. The savings option can cover room and board, textbooks and other education costs as well as tuition. With these plans, you or your folks can make a one-time contribution, add to it periodically, or establish an automatic deposit. Keep in mind that even though these funds are managed professionally, they are not immune to the economy. While these resources won’t help you save for school, they can save you money if you receive them. Research on your own and talk to your counselor about scholarships and grants you might qualify for. Prepare in advance so you can meet the requirements such as completing essays and tests. Preparing to pay for school will help you in the long run as tuition increases. Instead of planning to pay off student loans, plan to save that money so it can make interest for you. Look for ways to cut down on expenses, including those from education, and consider marking your money for a Section 529 plan. This is a guest post from Kimberly Bowen. Kimberly is a staff writer for NorthOrion, a website dedicated to helping you make informed education and financial decisions. This article is contributed by a guest author. If you a blogger or a freelance writer and would also like to contribute a guest article, please use the above Contact form to submit article ideas and drafts for review. I can’t stress the scholarships/grants more! They really come in handy and there’s so many out there, but a lot of people don’t look for them. Savings + scholarships can keep you out of student loan debt. The money often has the power of ignorance. Nobody became rich buying bids. I recommend learning to finance close to 30, because then it’s like learning to swim after falling into water. If you can not swim, boat suddenly at an old sailor. Learn to invest looking at those who know.